It's very evident he cares about and relates well to youth…very clear that his presentation wasn't his "job" but his passion. He inspired them, without a doubt. Our Board of Trustees insists that we bring in the most remarkable leaders we can find in any field. Dr. Tyson's address exceeded our expectations in every regard. Dr. Tyson was a rock star! He was definitely the most well-received speaker at this conference. Astrophysicist and Host of Cosmos: A Space-Time Odyssey inspired by Carl Sagan’s Cosmos: A Personal Voyage. 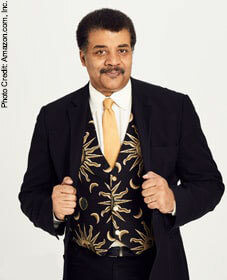 Host of StarTalk with Neil deGrasse Tyson on National Geographic Channel. The face of StarTalk Radio presenting authoritative, innovative, and entertaining scientific stories. As the Director of the Hayden Planetarium, Tyson conducts research in astrophysics and brings the universe down to Earth! 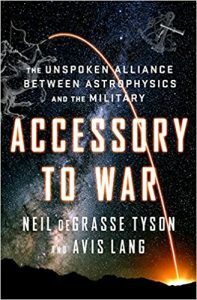 Explore the expectations of where we should be in space by now and the geopolitical, cultural, and economic realities that limit it. Author of Space Chronicles, The Pluto Files, The Sky is Not the Limit and others! Check out his speaking schedule for upcoming dates in your area!